Do you have a student loan or loans? If you’ve been out of school for six months or more you should be paying them back… unless. What’s the unless? It’s unless you have a loan deferment, forbearance or if you were able to get the loan cancelled. Note: If you believe you might be eligible for any of these three options, contact the organization that services your loan to discuss this. The reason why it would be a real mistake to default on your student loan is because it would have serious consequences. The financial institution that owns your loan, your school, the federal government or your loan guarantor could all take action to recover the money you owe. This makes it important for you to understand what a problem it can be if you miss a loan payment, what default means and what the consequences of going into a default would be. You also need to know how to get a loan out of default. You’ll remember you were required to sign a promissory note when you took out your loan. If you fail to make payments on it as scheduled according to that note, you will be in default. Technically, you default the day after you miss a payment. Your delinquency will continue until you have made all of your payments and brought your loan up to date. Your delinquency will be reported to the three major credit bureaus after 90 days, which will cause your credit score to drop dramatically. As noted above, if you go into default, your school, the federal government or the bank that loaned you the money could take action against you to recover it. In addition, there are other consequences of default that are really severe. For one thing, the unpaid balance of your loan and any interest that has accrued will be immediately due and payable. You will lose your eligibility to get forbearance, deferment and choose your payment plans. In addition, you will no longer be eligible to get any additional federal student aid. It is likely that your loan will be assigned to a collection agency. It’s possible that your federal and state taxes will be withheld through what’s called a tax offset. This means that the IRS could take your federal and state tax refunds to help collect on your defaulted student loan debt. Moreover, your debt will increase due to the additional interest, late fees, collection fees, court fees, attorney fees and other costs related to the process of collecting from you. The federal government could request your employer to withhold money from your pay and send it in to help pay off your loan. This is called wage garnishment. The holder of your loan could take legal action against you so that you might not be able to purchase or sell any asset like real estate. And finally, if you’re a federal employee you could have 15% of your disposable pay offset toward repayment of your loan through a Federal Salary Offset. In short, the consequences of defaulting on a student loan can be disastrous. What makes a student loan debt different from any other type of unsecured debt is that you can’t get it discharged through a chapter 7 bankruptcy. 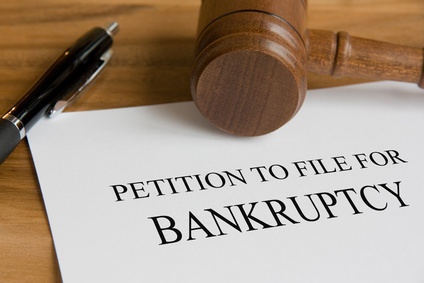 If you were to file for a chapter 7 bankruptcy you could get other unsecured debts such as credit card debts, medical bills and personal loans discharged but not student loan debts – unless you could convince the bankruptcy judge that you’re in such dire financial circumstances there’s just no way you could ever pay off the loan. However, it’s very, very rare for a bankruptcy judge to discharge a student loan debt. If you default on a student loan the consequences can be serious but not the end of the world. There are ways to get out of default. For one thing, you could repay the loan in full. A second option is what’s called loan rehabilitation. If you had a Direct Federal Loan then you and the Department of Education (ED) would have to agree on an affordable and reasonable payment plan. In the event you had a Perkins loan, you will need to contact your school. In either event, your loan will be rehabilitated after you have voluntarily made the agreed-upon payments on time and a lender has purchased your loan. Do be aware that if there are outstanding collection costs these may be added to your principal balance. If you rehabilitate your loan, you may regain eligibility for the benefits that were available on your loan before you defaulted. These could include deferment, forbearance, a choice of repayment plans, loan forgiveness and even eligibility for more federal student aid. Plus, the default status would be removed on your loan and this will be reported to the national credit bureaus. This would also eliminate the possibility of wage garnishment or the withholding of your income tax refund. A third option – beyond loan rehabilitation or complete repayment – is a Direct Loan Consolidation. This would allow you to pay off all the outstanding balance or balances on your federal student loans with a new single loan that would have a fixed interest rate. You could even include a defaulted federal student loan in a Direct Loan Consolidation after you’ve made arrangements with the ED and have made several voluntary payments. In general, you would have to make at least three consecutive, voluntary and on-time payments before you could include that loan in a consolidation. Do be aware that a guaranty agency might charge collection or late fees up to 18.5% of your outstanding loan – including the interest and principal. These fees would then become part of the consolidation loan. As an example of this if you had a defaulted loan of $8500, plus $1500 of accrued interest this would equal $10,000. Fees of $1850 could then be added to that $10,000, meaning that the consolidation loan would be for a total of $11,850. In addition to getting you out of the default, having a Direct Loan Consolidation would simplify repayment because you would have just one payment to make each month. It should also lower your monthly payments because you would have up to 30 years to repay the loan. It’s also possible that you could access alternative repayment plans that would not have been available before. However, keep in mind that if you increase the length of your repayment period, you’ll make more payments and pay more in interest. Plus, you will lose any borrower benefits that were offered with your original loans. What is the interest on a Direct Consolidation Loan? If you get a Direct Consolidation Loan, it will have a fixed interest rate for the term of the loan. This will be based on the weighted average of the interest on the loans you’re consolidating, rounded up to the nearest 1/8th of 1%.